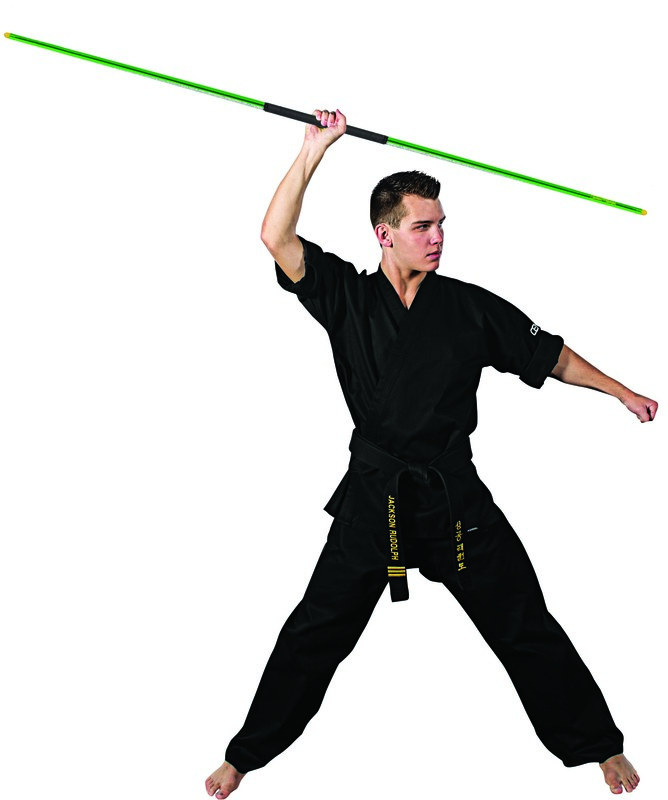 Many martial arts dojos offer weapon-based training. 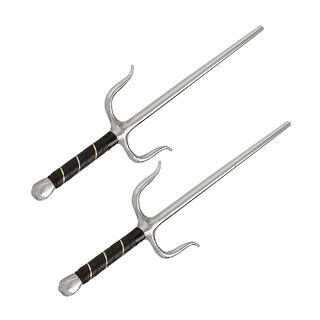 In sport karate especially, weapons forms is a popular category to enter in tournaments. Competitors are eager to show off their skills, and bright, flashy weapons help capture the audience’s attention. However, the opposite used to be true! Weapons training was carried out in secrecy, never in the open, and the weapons themselves looked nothing like they do today.In the 1600s, Japanese samurai invaded the Okinawan islands. To squash resistance, they disarmed the islands’ native population and forbid them from having weapons like swords and knives. However, the Okinawans adapted Chinese martial arts and found ways to utilize everyday items as effective weapons. 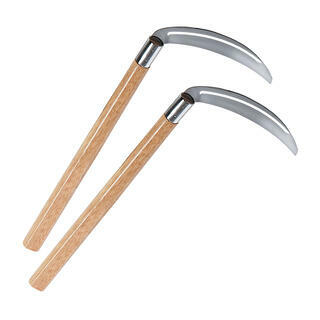 In fact, many of the most iconic martial arts weapons started out as nothing more than farming tools. Here’s a quiz: See if you can match each weapon to its original purpose. No cheating! 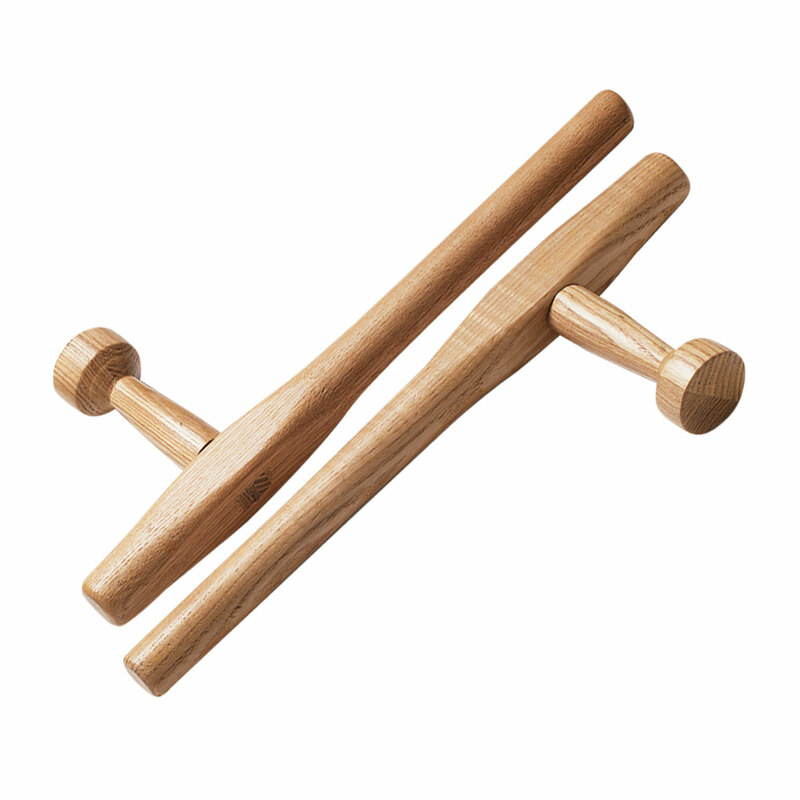 1) Tonfa (D) were used for grinding rice or beans. 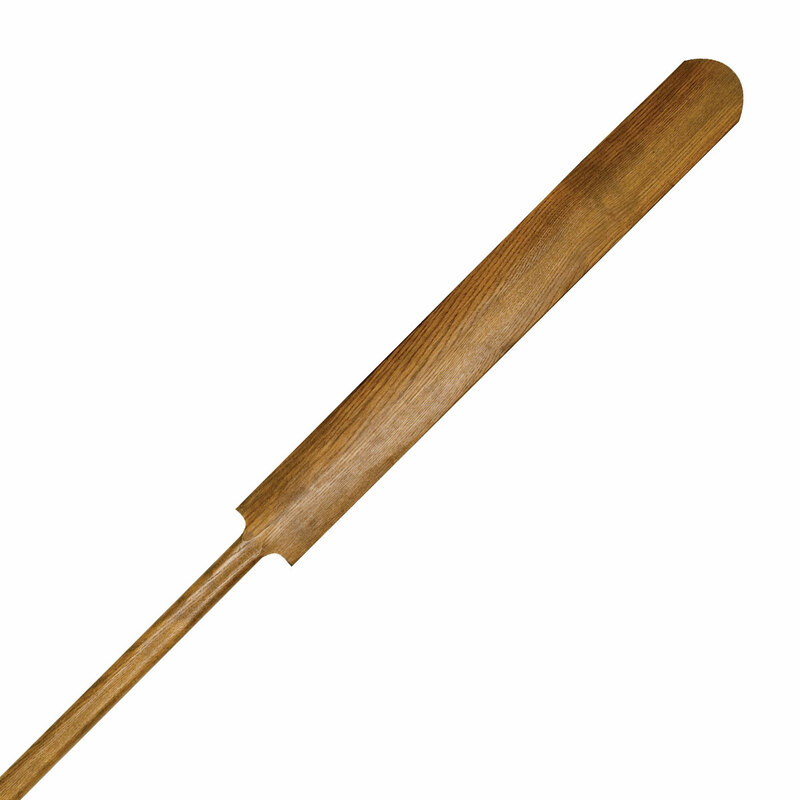 2) Eku (A) were used for paddling (they’re also called Boat Oar Staffs – but I wasn’t going to tell you that!). 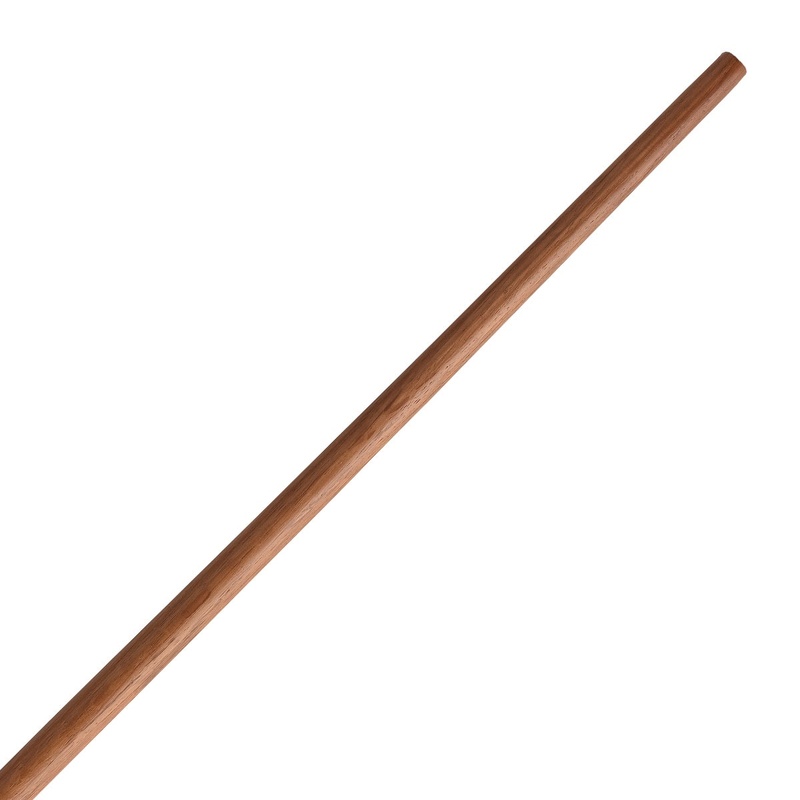 3) Cutting grass or wheat was done with tools similar to a kama (F). 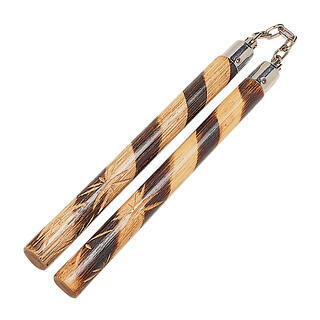 4) A nunchaku (E) was great for threshing grain. 5) You could carry two water buckets with a bo (C), one on each end. 6) The shape of the sai (B) makes it obvious it was a small pitchfork! 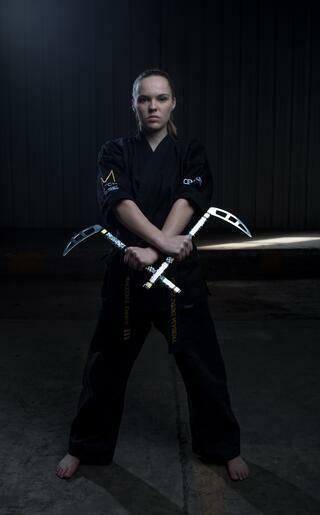 Martial arts and martial arts weapons continue to evolve. These days, there’s little threat of having to defend your land from roving samurai or bandits, so you can focus on winning big in competitions! And forget being secretive. You want weapons made to stand out and set you apart. Mackensi Emory and Jackson Rudolph, both of Team Paul Mitchell Karate, are two of the biggest names in sport karate. Specifically, they’re known as weapons competitors – kama for Emory, and bo for Rudolph. Century is pleased to introduce the new Mackensi Emory Signature Series Kama line and additions to the Jackson Rudolph Signature Series Bo line! These weapons were designed by the competitors themselves, and are models of the same weapons they use in tournaments. If you don’t offer a weapons program in your school, now is the time to add one of these popular classes. Jackson Rudolph’s The Flow weapons training system is a ready-made bo training curriculum that can easily be incorporated into any school, and includes everything you need, even instructor training. Visit The Flow’s site to learn more, and, in the meantime, check out Rudolph's Bo Tip of the Month videos on YouTube!